pins 1, a photo by a1scrapmetal on Flickr. 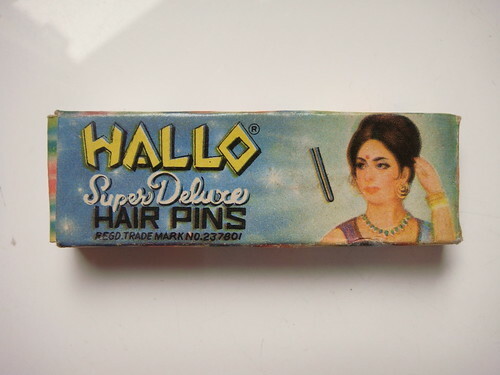 Another packet of Hair pins that saved the day. pins 2, a photo by a1scrapmetal on Flickr. pins 4, a photo by a1scrapmetal on Flickr. 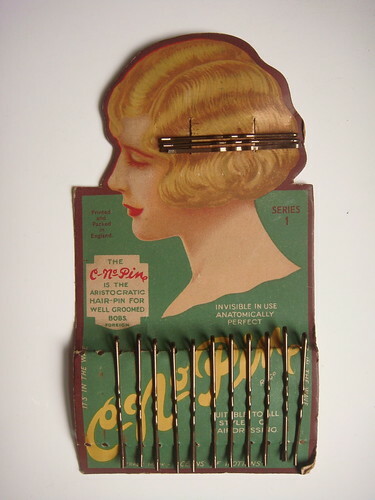 The C-No-Pin IS THE ARISTOCRATIC HAIR-PIN FOR WELL GROOMED BOBS. INVISIBLE IN USE ANATOMICALLY PERFECT. 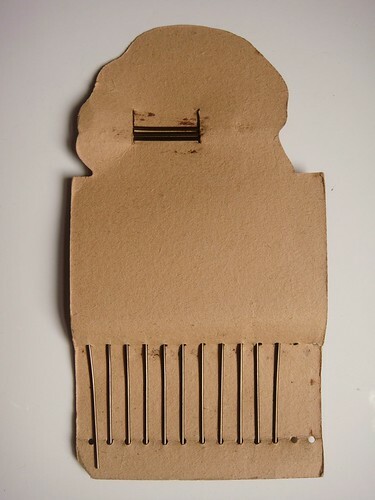 SUITABLE FOR ALL STYLES OF HAIRDRESSING. I think I may have put this on the blog before..but this packet came to the rescue yesterday when Barb put up my hair for my wedding..so it is a very special packet now. 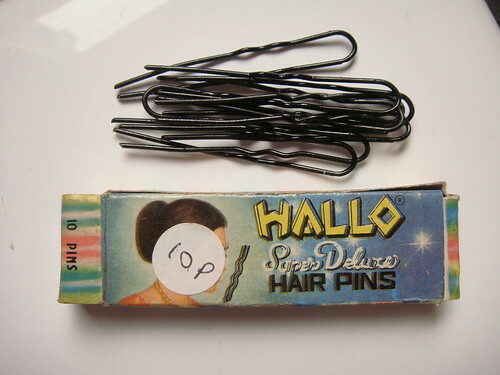 alongside the HALLO super delux hair pins . 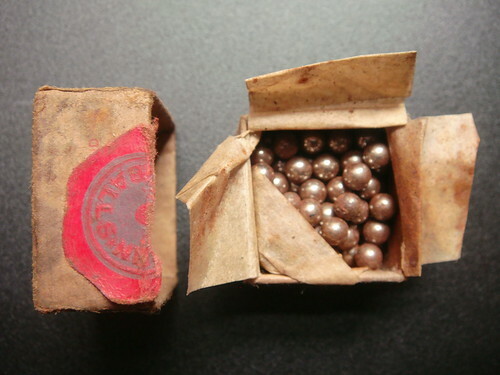 pins 3, a photo by a1scrapmetal on Flickr. 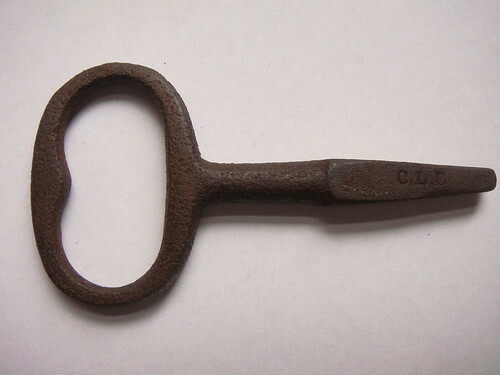 key 3, a photo by a1scrapmetal on Flickr. I found this on the boot sale at Weaverham High school on Sunday. It was VERY rusty and cost the sum of fifity of your pennies. I cleaned it up a little with oil and a light sandpaper as I wanted to read the marks on it. key 2, a photo by a1scrapmetal on Flickr. 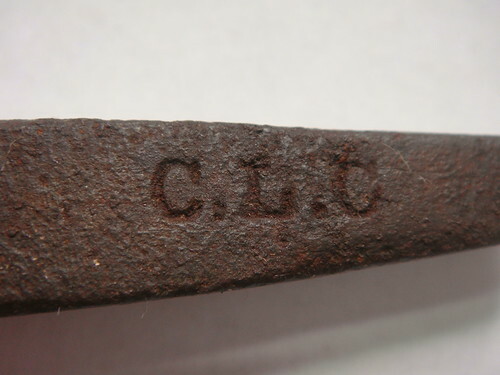 C.L.C stamped on the end. Stands for CHESHIRE LINES COMMITTEE. which ran the Manchester- Chester line I travel on everyday to work. DSC01210, a photo by a1scrapmetal on Flickr. 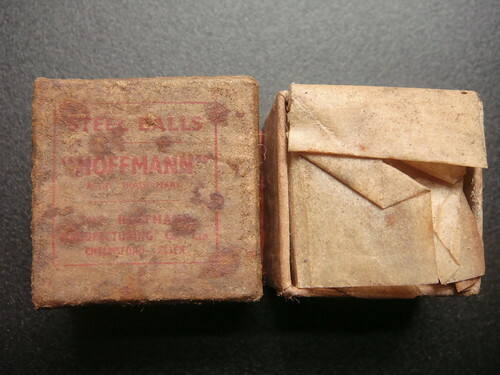 Bought with the Steel Balls for 50 pence. I was attracted by the chewed pencil..I am sure I had one like this when I was young.. 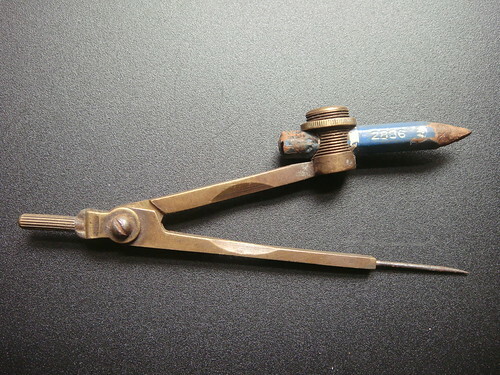 It is so well designed, the filed dips half way down to allow for fingers to grip, simple nut and bolt holding it together at the top, brass ring to hold the pencil. A classic design. DSC01206, a photo by a1scrapmetal on Flickr. Bought for 50 pence along with an old school compass. DSC01207, a photo by a1scrapmetal on Flickr. The box was full. A lovely paper seal.